Abstract: Photon counting is the technique of choice for attaining the ultimate sensitivity in measurements of optical signals. This essentially occurs because it is completely digital, starting from the photodetector, and therefore completely avoids the limitations set by the noise of electronic circuits in the analogue measurements of light, carried out by measuring the output current of photodetectors. It requires, however, photodetectors with an internal amplification mechanism that generates in response to single optical photons macroscopic electrical signals, with amplitude well above the level of noise in circuits. Photon counting was introduced and developed with photomultiplier tubes, but it received new impulse from the introduction of microelectronic detectors, called Single-Photon avalanche Diodes SPAD. These devices exploit the avalanche phenomenon in a junction with an approach conceptually similar to that of Geiger-Mueller counters of ionizing radiation. Besides the general advantages of semiconductor devices versus vacuum tube devices, such as reduced size and cost, higher reliability, ruggedness, suitability to integrated systems, SPADs offer remarkably improved basic performance in terms of higher photon detection efficiency, lower dark-counting rate, higher resolution in photon-timing, capability of efficient operation up to very high photon counting rate. The seminar will outline the evolution of the SPAD devices and of the associated electronics and point out the physical phenomena that underlay the detector operation. It will illustrate significant examples of recent applications of SPAD detectors, from the analysis of DNA and proteins to studies of single molecules and to adaptive optics systems in modern telescopes. It will finally discuss the prospect of further progress in this field. Biography: Born in Roma, Italy, he received a doctor degree in Nuclear Engineering in 1962 from Politecnico di Milano (POLIMI), Italy, where he is Full professor of Electronics since 1976. Life Fellow of the IEEE, he is author of over a hundred and seventy papers in international refereed journals and conferences and of five international patents (USA and Europe). He has given innovative contributions to research and development of detectors for optical and ionizing radiations and associated electronics, of microelectronic devices and circuits, of electronic and optoelectronic measurement instrumentation and systems. In this frame he collaborated with other researchers in physics, astronomy, cytology and molecular biology, carrying out interdisciplinary work and developing new dedicated techniques and devices. He pioneered the development of Single-Photon Avalanche Diodes (SPAD), inventing the active-quenching circuit (AQC), which opened the way to their application. His research group developed AQCs in successive generations and was the first (and so far is the only one) to develop monolithic integrated AQCs, hence miniaturized photon counting instrumentation and complete photon-counting modules in a chip. With his group he developed in various generations and in CMOS compatible technology new planar epitaxial silicon SPAD devices with picosecond photon-timing capability, working in collaboration with technological laboratories in industry and academy (STM, IMM-CNR, NMRC). He also pioneered the extension of single-photon techniques to the infrared spectral range with Germanium and InGaAs/InP avalanche diodes. He contributed to diversified applications of photon-counting detectors: fluorescence measurements for DNA and protein analysis and single-molecule studies; characterization of optical fibers and laser; adaptive optics systems in telescopes; non-invasive testing of ULSI circuits; and others. 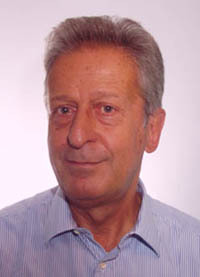 In the year 2005 he established with other colleagues of Politecnico di Milano the university spin-off company MPD Micro-Photon-Devices, intended for producing industrially and making widely available to experimenters the photon counting microdetectors developed in the research at POLIMI.